Original IMI 1919A4 .308 Barrel, Chrome Lined. Surplus Like-New with Rust: Has some rust on crown and chamber entrance. 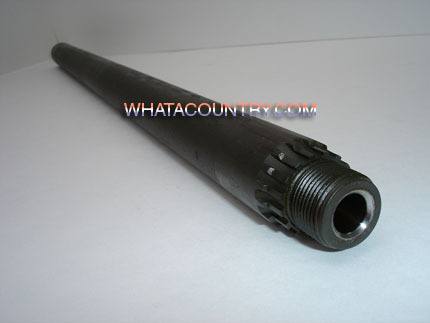 Overall length just under 24-1/8"
Due to this items size and weight an additional shipping/handling charge of $8.00/ea. will be applied during checkout. Orders for three or more should be called in for actual shipping costs as the above fees will not cover actual shipping costs. Shipping to Alaska, Hawaii, or similar may require additional postage. Shipping quotes please call or email.